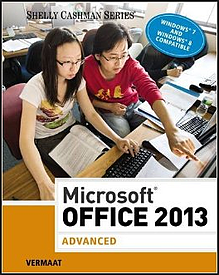 Have you ever asked another elective teacher: “What Microsoft Office textbook do you use in your computer applications classes?” If you are teaching a middle school or early high school computer applications class, at some point you will need a new textbook to teach Microsoft Office. While we help many computer applications teachers with our digital curriculum, Business&ITCenter21, we think it’s important for any teacher to explore all of their options to find the right resource. 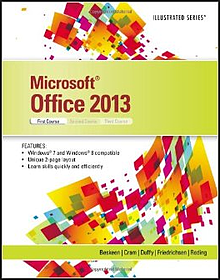 This text has a user-friendly format that allows students to learn Microsoft Office 2013 quickly and efficiently. The page layout in this Illustration Series creates easy to follow instructions. Each unit starts with an overview of what will be covered before work in the lessons begins. One great feature is the “Quick Tips” which predicts common mistakes and helps students to avoid those errors when working. This resource includes many projects for students to complete such as letters, brochures, PDF documents, pivot tables, and business presentations. While going through the projects, review questions and exercises help to reinforce concepts new to the students. 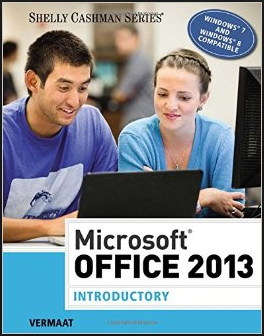 Along with the standard Microsoft Office applications, this resource includes “bonus coverage” of: Internet Explorer, SkyDrive, Outlook, PowerPoint, Publisher, and OneNote. 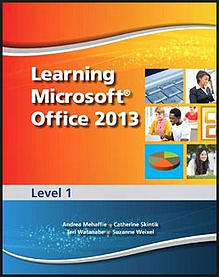 This text will introduce students to Microsoft Office 2013 in an engaging way that helps to improve retention.This resource uses a step-by-step approach that presents new information as the student goes through the lesson. At the end of each chapter, a number of activities provide reinforcement and a way for students to apply the skills the have learned. 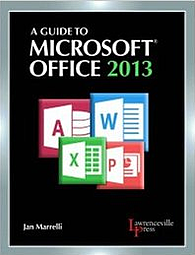 This is a follow up to the Microsoft Office 2013: Introductory text listed above. It builds on the knowledge students have of each Office application and teaches more advanced features and skills. The Advanced text has the same layout with step-by-step instructions and many reinforcement opportunities. 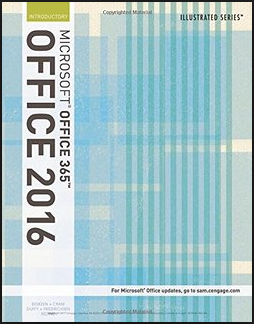 With this soon to be released resource, students learn about both Microsoft Office 365 and Microsoft Office 2016. 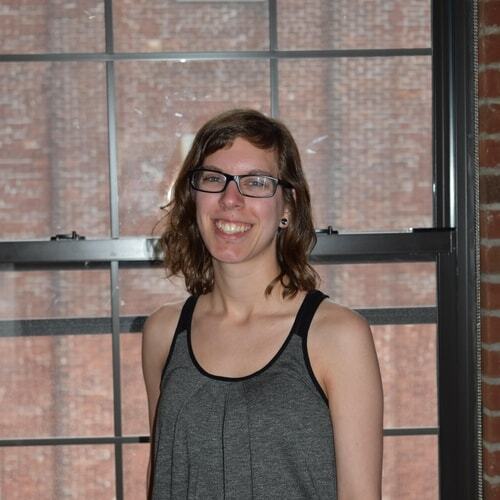 As part of the Illustrated Series, the user-friendly format with images reflect what students will see on their own screens when working in the Office applications. Each module gives an overview and a case study to show relevant application of what will be learned. At the end of each module, there are Independent Challenges and Visual Workshops that allow students to practice further. These texts from Pearson Education are available in print or online and encourages student self-directed learning. The instructions include screen shot images of the Office application to help students learn unfamiliar content. After each chapter, there are activities to help reinforce what was learned - as well as electronic Bonus Chapters for even more reinforcement and skill development. 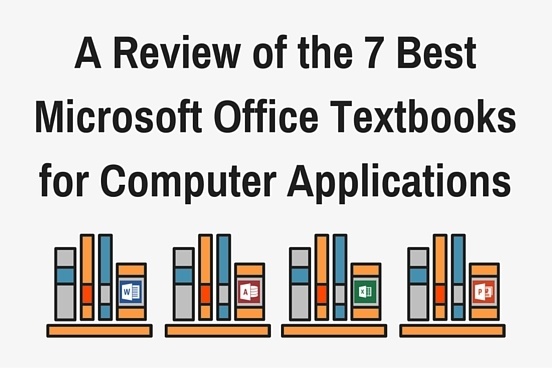 Which Microsoft Office Textbook is the Best? Is the content age-appropriate for my students? Does it meet my standards? How much value does it give me and my students? Can I easily integrate it into my classroom? On a final note, don’t forget that in a blended learning classroom, a textbook may be one of several resources you use to teach your students. A great blended learning style will use textbooks, hands-on projects, lecture, online resources, and more. A textbook is a great place to start, but don’t stop there!